Episode 2 - Glenn Rifkin | The Biggest And Greatest Podcast Ever! 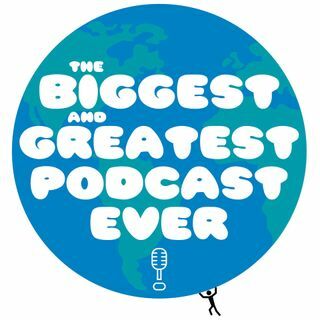 Da: The Biggest And Greatest Podcast Ever! Glenn Rifkin is a veteran journalist and author who has been a regular contributor to the New York Times for nearly 30 years. His newest book is Future Forward: Leadership Lessons from Patrick McGovern, the Visionary Who Circled the Globe and Built a Technology Media Empire. He is the author of several business books including Radical Marketing: From Harvard to Harley, Lessons From Ten That Broke the Rules and Made It Big, The CEO and the Monk, The Ultimate Entrepreneur: The Story of Ken Olsen ... Maggiori informazioni and Digital Equipment Corporation, and Thoreau's Backyard: Musings From a Small Town. He has written extensively on leadership and business for a variety of publications including Briefings, Harvard Business Review, Strategy & Business, Forbes, the Boston Globe and the Wall Street Journal. During the 1980s, Rifkin was the featured editor at Computerworld, an IDG publication, where he first got to work with Patrick McGovern.